Successfully Added AGM X2 Mobile Phone NFC Android 7.1 GMS Octa Core Dual Cameras 5.5" FHD 6GB RAM+64GB ROM 6000mAh Battery Smartphone Classic to your Shopping Cart. AGM X2 runs Dual 12MP Sony IMX 386 1.25-micron large-pixel rear cameras. Monocharome+RGB technology is applied for better picture quality and beautiful details. Large pixel size allows the smartphone to have the best performance in low light. A beautiful selfie is dispensable while having outdoor activity. AGM X2's camera is enhanced to produce the lighting effects of professional photos. Taking selfies with this amazing 16MP front camera, you will get astonished by how great you look. After passing extremely strict tests, the AGM X2 has been certified IP68 rating and MIL-STD-810G which is highest military standard for products in the United States. 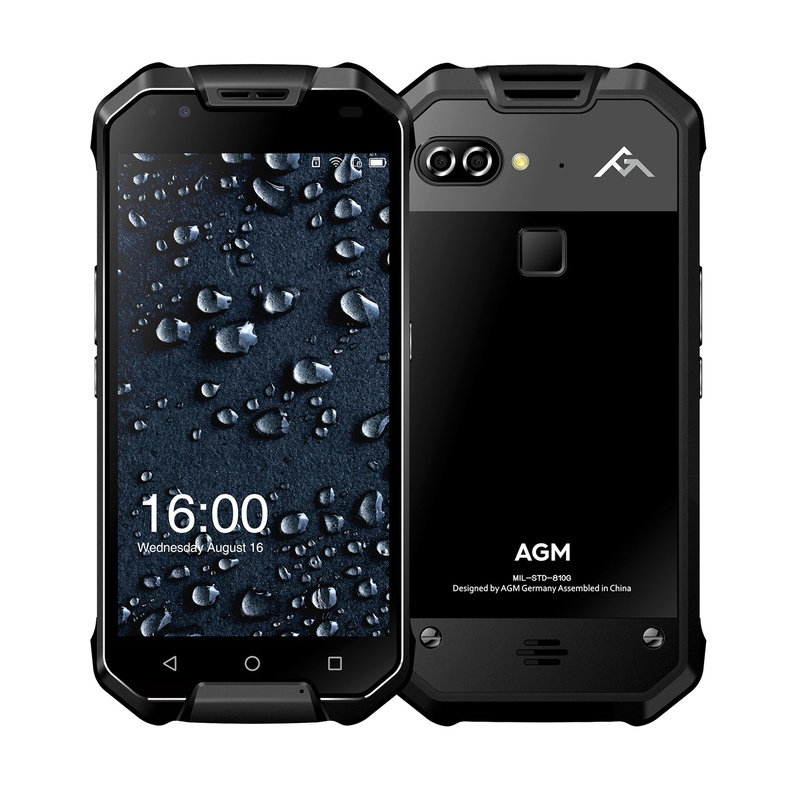 Shockproof, waterproof and dustproof ability is just a piece of cake for AGM X2. When you're outdoor, the smartphone can be dropped in the river, seashore, or get caught in the rain. However, feel free to get it wet. The AGM X2 can withstand the harsh environment tests. Even the USB interface and earphone jack are waterproof. The AGM X2's AMOLED display is able to present a crisp and vivid image while preserving authenticity, bringing you the incredible visual experience. With shockproof Gorilla Glass 5, There will be no worries from scratching and accidental drops. For the outdoor smartphone, long battery life is essential, because once the device is out of juice, you will lose contact and help. Improved power-consumption coupled with 6000mAh battery guarantee long time use without any concerns.